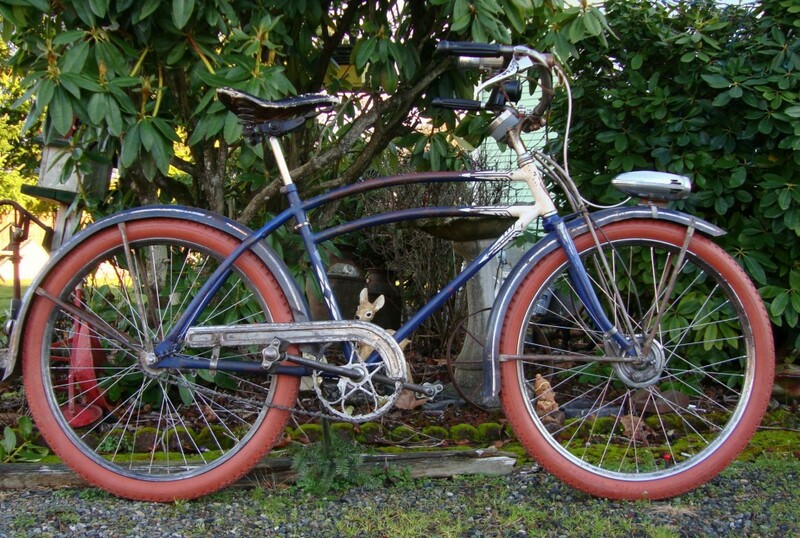 1937 B.F. Goodrich badged, Schwinn Built BA67. 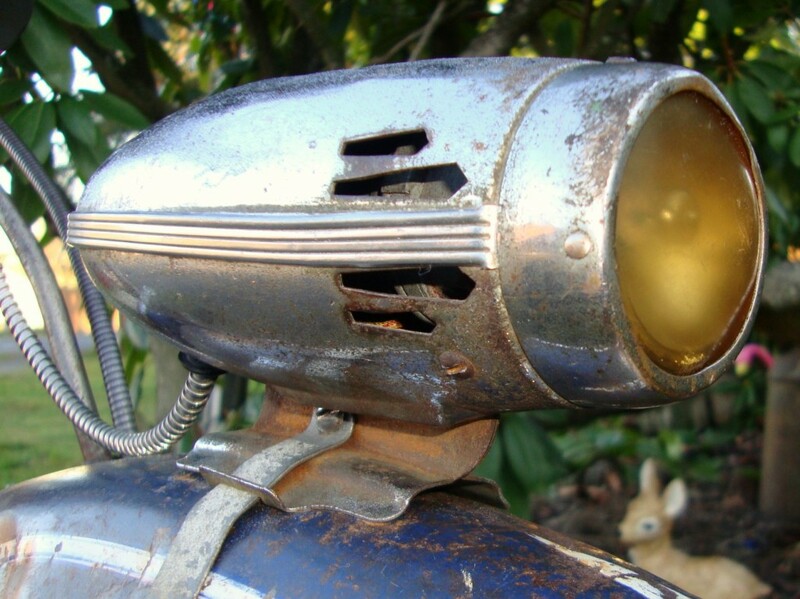 The 36-37 Delta “Fatboy” horn light has been added. 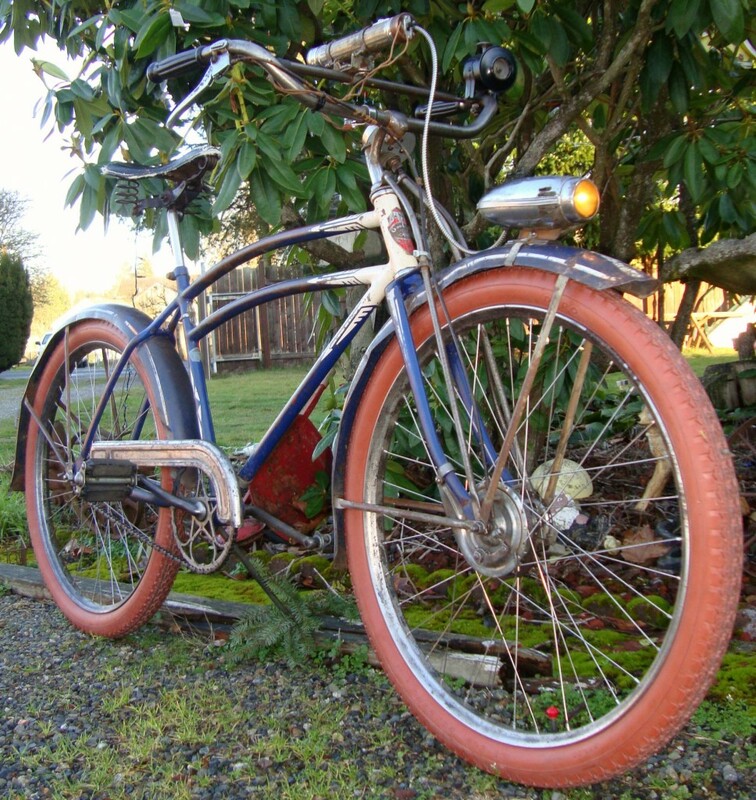 Custom built “period correct” battery tube, switch, horn button combo.